We could make this list 1,000 things to do in Barcelona, but for the moment 100 will do. From Pedralbes Monastery to the Picasso Museum, Gaudi architecture to the Grácia Festival, here's our heavyweight list of 100 things to do in Barcelona. So get your Barcelona metro ticket—the ideal way to get around the city—and off you go. The best way to plan a tour of Barcelona is to divide the town into districts, beginning in the center and working your way out to the suburbs. Each area is easily worth a day of your time, but if you have time constraints, each can be covered in one morning or afternoon. Spain's most famous promenade can be a river of tourists, but it's worth getting swept in for a couple hours to enjoy the stalls, human statues, and eclectic mix of landmarks, from ceramics by Mirò to the Liceu Theatre and elegant but seedy Plaça Reial. Barrio Gotico is the Gothic Quarter, where the La Seu Cathedral, Plaça del Pi, and myriad dark, winding alleyways preserve the area's rich medieval heritage. 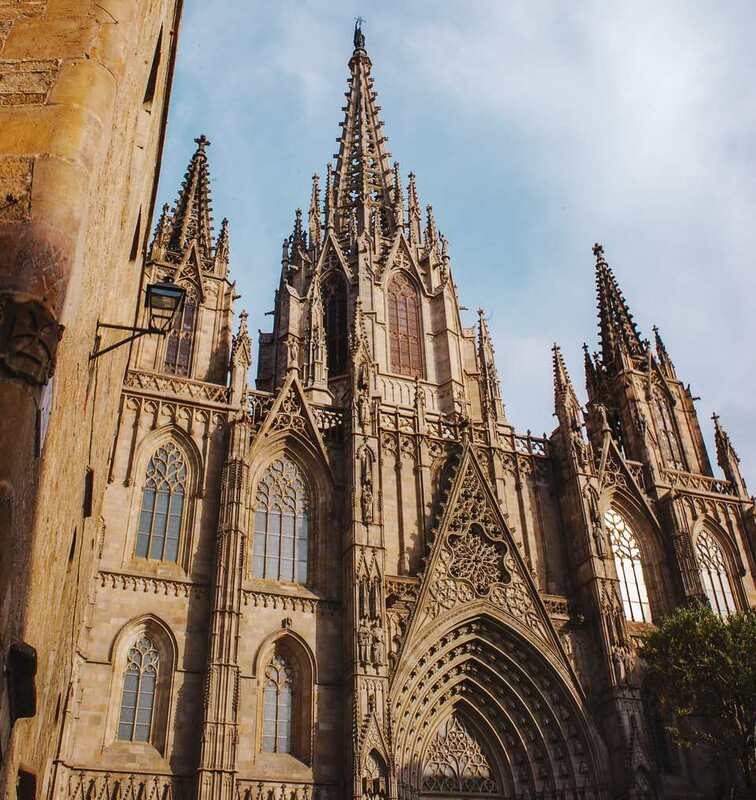 El Born is the site of one of Spain's finest Gothic churches, Santa Maria del Mar. The medieval passageways adjoining it will take you to the unmissable Picasso Museum and La Palau de la Musica Catalana, while Passeig del Born is one of the trendiest places for a paseo—an afternoon stroll—in the city. Barceloneta is Barcelona's fishermen's barrio. It has the most popular beaches in the city, some of the best seafood eateries, and a magnificent port. El Raval looks, smells, and tastes different. This multicultural hub showcases delicious international cuisine, much of the city's best graffiti, unusual drinking spots, and contemporary art in the award-winning MACBA Museum. Eixample is all about the extraordinary modernist architecture of Gaudi, Domènech ​i Montaner and Cadafelch, centered upon the surreally beautiful Passeig de Gràcia. It's also Barcelona's top shopping avenue. Gràcia sees itself as a village within the city, but visit its buzzing Carrer de Verdi and Plaça del Sol and you'll find a vibrant community whose festival in August is one of Barcelona's most unforgettable. Montjuïc is dominated by the presence of its 17th-century castle, Olympic Stadium, and Royal Palace of Pedralbes. It is also home to some of Spain's finest museums, including the Miró Foundation and CaixaForum. A funicular ride to the top of Mount Tibidabo provides the best views of Barcelona. Lower down, the Royal Palace of Pedralbes has a wonderful ceramics museum, and Pedralbes Monastery stores a treasure trove of religious art. From the amazing rock formations of Montserrat to the charming seaside resort of Sitges and Salvador Dalí's hometown of Figueres, here are some of the top treats within a couple of hours' reach of Barcelona.